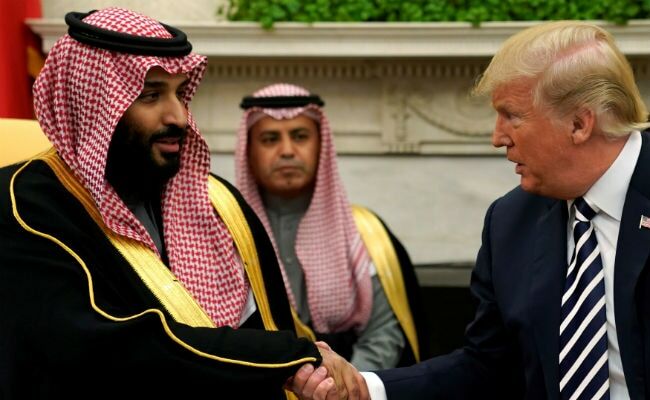 Donald Trump Welcomes Crown Prince, Says Saudi Arabia "Very Wealthy"
In the Oval Office, Trump and the crown prince lauded the strength of US-Saudi ties, which had grown strained under the Obama administration in part over differing views towards Riyadh's regional rival Iran. Washington: President Donald Trump feted Saudi Arabia's powerful Crown Prince Mohammed bin Salman on Tuesday and lauded US defence sales as a boost to American jobs, even as Riyadh's involvement in Yemen's civil war faced criticism. Not so with Trump, who has taken a hardline view against Iran similar to that of the Saudi crown prince who has compared Iran's supreme leader to Adolf Hitler. The talks were part of the first visit by the prince to the United States since he became the heir apparent last year to succeed King Salman. Trump's red-carpet treatment highlighted his administration's strong backing of the crown prince, who carried out an anti-corruption purge that consolidated his power and whose aggressive foreign policy has caused unease among some Western allies. At the same time, the kingdom has witnessed a cautious new climate of social freedoms with the rise of the 32-year-old crown prince to power after decades of elderly rulers. Trump and Prince Mohammed discussed an agreement last year for $200 billion worth of Saudi investments with the United States, including large purchases of US military equipment. Trump said the military sales contributed to the creation of 40,000 American jobs. "Saudi Arabia is a very wealthy nation, and they're going to give the United States some of that wealth, hopefully, in the form of jobs, in the form of the purchase of the finest military equipment anywhere in the world," he told reporters. 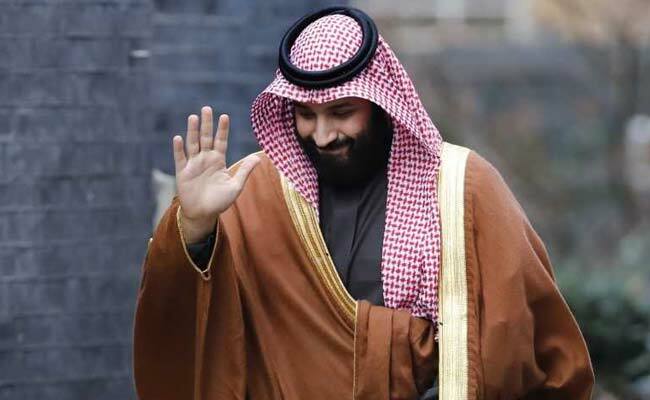 The crown prince, who is also the defence minister, is on a public relations blitz while travelling in the United States, with stops in New York, Boston, Seattle, Los Angeles, San Francisco and Houston to cultivate investments. As they talked, US senators debated a resolution seeking an end to US support for Saudi Arabia's campaign in Yemen's civil war, in which about 10,000 people have been killed. Some members of Congress have been critical of the Saudi involvement, particularly over the humanitarian situation and civilian casualties. A Saudi-led coalition, with logistical and intelligence support from Washington is fighting to counter the influence of Iran, an ally of the Houthi militia, which denies any help from Tehran and say it is fighting a revolution against corrupt politicians and Gulf powers in thrall to the West. Senator Bob Corker, chairman of the chamber's foreign relations committee, said senators had questioned the crown prince closely about Yemen during a meeting with him on Tuesday. The crown prince is on a public relations blitz while travelling in the United States. The Saudi embassy said the prince discussed with members "countering the threat posed by Iran and the Iran-backed Houthi militias" as well as Saudi "efforts to address and alleviate the humanitarian situation in Yemen." Prince Mohammed capped his rapid rise to power last June by replacing his elder cousin Prince Mohammed bin Nayef, who had close relationships with US intelligence and defence circles, as crown prince. He is likely to rule for many decades if he succeeds his father. Trump praised the king's move to elevate Mohammed and called US-Saudi ties strong as ever. "I thought your father made a very wise decision. And I miss your father - a special man," he said. King Salman is to visit the United States later this year. Though the prince has won Western plaudits for seeking to ease Saudi Arabia's reliance on oil, tackle chronic corruption and reform the conservative Sunni Muslim kingdom, the severity and secrecy of his anti-corruption crackdown last November unnerved some in the West. The crown prince, in a rare foray into speaking English, said on Tuesday the Saudi pledge for $200 billion in investments will end up at $400 billion when fully implemented. He said a 10-year window for implementing the deal was already under way. "This is a signal that there (are) a lot of things (that) could be tackled in the close future and more opportunities. And that's why we are here today, to be sure that we've tackled all the opportunities and achieve it and also get rid of all the threats facing our both countries," he said. Any visit to the New York Stock Exchange will be watched closely by investors because of the potentially lucrative listing of up to 5 percent of Saudi oil firm Aramco expected this year. Saudi Arabia on Monday called the Iran nuclear deal a "flawed agreement," and Trump has made clear he plans to exit the agreement unless changes are made to it. "We're going to see what happens," Trump said. "But Iran has not been treating that part of the world or the world itself appropriately. A lot of bad things are happening in Iran. The deal is coming up in one month and we'll see what happens." The prince was also due to have dinner with Jared Kushner, Trump's senior adviser and son-in-law, along with Jason Greenblatt, the two point men in the Trump administration overseeing Middle East peace efforts.